10-17-15 - DREAM - I was actually typing up a web page, all in capital letters about a conjunction of two planets and the fact that it was going to cause disastrous weather on earth. 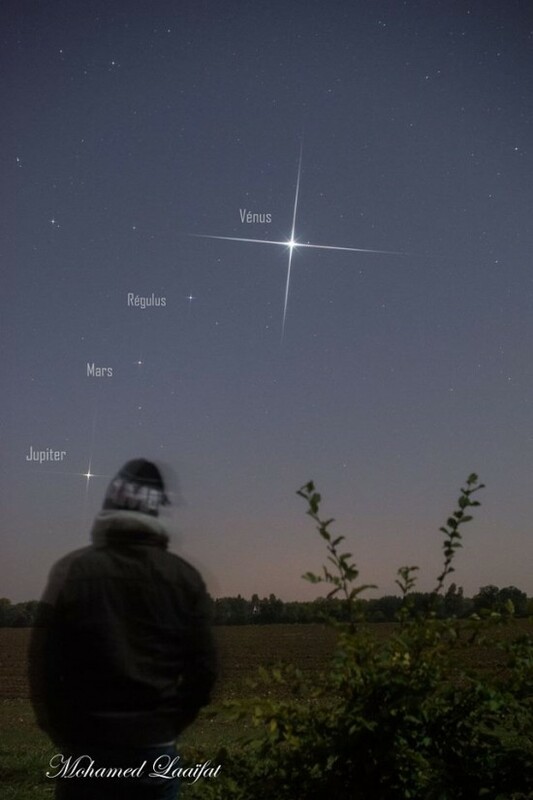 Four planets in the east at dawn now! Venus is the most noticeable of the four, but Jupiter runs a close second. Look in the direction of sunrise as dawn begins to light the sky. Fainter Mars is also in the morning sky beneath Venus, and Mercury is the planet nearest the horizon at dawn. Meanwhile, Saturn is the lone evening planet this month. 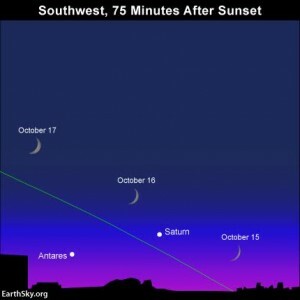 Follow the links below to learn more about October planets. On October 17, 2015 there were 1626 potentially hazardous asteroids. Lopez said it will take days to reopen State Route 58, a mile of which is choked with mud between 2 and 6 feet deep. 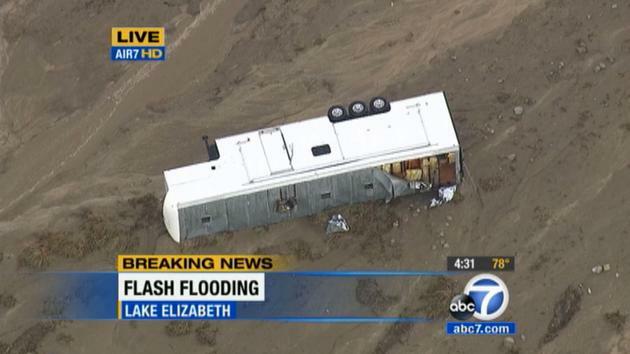 About 200 cars and semi-trucks were trapped in the now-hardened mud, frozen in place at odd angles. Hundreds of semis were backed up for 10 miles on the freeway at one point Friday because of the closure. Lopez said they would likely eventually be turned around. 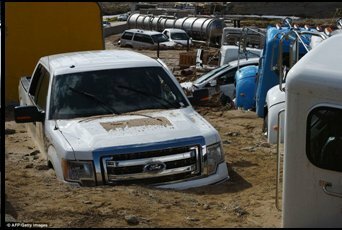 Emergency crews were working to dig out head-high mounds of mud from the 58 and Interstate 5, which was also shut down as hundreds of cars were trapped in the mud Thursday. The affected section of Interstate 5, one of the state's major north-south arteries, carries traffic among steep mountains over a pass rising to an elevation of more than 4,100 feet between the Central Valley and metropolitan Los Angeles. All lanes of Interstate 5 were reopened shortly after 6 p.m. Friday. Two southbound lanes and the northbound ones were reopened earlier in the day. 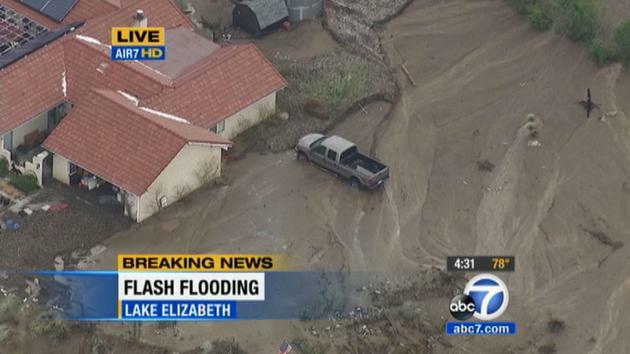 Lake Hughes, a tiny mountainside community in northern Los Angeles County, also was in the path of Thursday's storm. Melissa Nuesca said she and her husband had just picked up their two children from school in the Lake Hughes area when they found themselves surrounded by mud and water. They fled their car in pelting rain and hail, climbed onto the roof, and eventually found their way to safety. "It was really scary," said Nuesca's 11-year-old daughter, Sarah. "Me and my brother both thought we were going to die that night." Nuesca said the family got out of the car "just in time" after she reassured the children, "We're not going to die." The mud covered their car, solidifying inside and filling up the front seat up to the dashboard. Los Angeles County Fire Department Capt. Keith Mora said the agency 14 people and eight animals in the Lake Hughes area, some from atop cars. Many more were able to walk to safety after waiting out the flood on top of their own vehicles, he said. Sheriff's deputies checked on the occupants of nearly 800 homes in the area to make sure everyone inside was safe, the department said in a statement. At least a dozen homes in the area were damaged by the mud flows, said Kerjon Lee, a spokesman for Los Angeles County Department of Public Works. He said more than that could be damaged, but crews had to bust through blocked roads before they could get an exact count. The county department was going to have to move some 300,000 cubic yards of debris, the sheriff's statement said. Bill Wells, a local rancher, was walking through the area looking for his livestock on Friday morning. "I think my livestock was swept away and penned against the fence. I think they're all dead," said Wells, who was near tears. 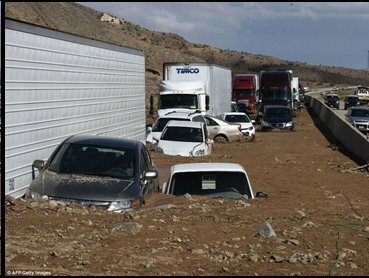 Further north, a fresh round of flash flooding on Friday afternoon stranded about 100 vehicles on Highway 166 west of Cuyama, a remote sparsely populated community about 50 miles north of Santa Barbara. But the vehicles, including a school bus, were able to start moving again and weren't expected to need rescuing, Santa Barbara County fire spokesman Dave Zaniboni said. The thunderstorms were powered by a low pressure system pulling in moisture from the south. As much as 1.45 inches of rain fell in a quick span of time near where the most intense flooding occurred. National Weather Service meteorologist Robbie Munroe said it's too early to say whether the storm was connected to the El Nino phenomenon that experts say has formed in the Pacific Ocean. Historically, he said, an El Nino brought on by a warming of Pacific Ocean waters doesn't usually bring heavy rain to Southern California before November. This El Nino has been forecast to bring above-average precipitation to Southern California during January, February and March. 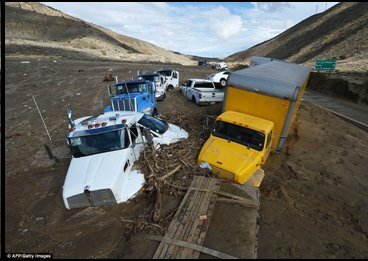 LOS ANGELES – Rescuers threw ladders and tarps across mud up to 6 feet deep to help hundreds of trapped people from cars that got caught in a roiling river of mud along a major Southern California trucking route, a California Highway Patrol official said Friday in what he and other witnesses described as a chaotic scene. Amazingly, officials said, no deaths or injuries were reported. The people rescued from State Route 58, about 30 miles east of Bakersfield, were stranded in a powerful storm on Thursday evening. They were rescued in darkness about 10 hours after the storm hit and taken to three shelters. "It was terrifying," 51-year-old Rhonda Flores of Bakersfield told The Associated Press on Friday. "It was a raging river of mud. I've never experienced anything like it, ever." Flores said she, her mother and her stepfather were driving back to Bakersfield from her sister's funeral in Utah when the storm hit out of nowhere. "It started raining, and it kept raining, the water started to build up and the mud started coming," Flores said from the church where she, her family and about 150 other people sheltered overnight. "The water's rushing by, the mud's rushing by, then pieces of trees started coming by and the water was past our doors." Flores said the trio was prepared to jump out of the windows if the water got any higher. Luckily, it subsided. "I'm feeling blessed that we are here," she said. Sgt. Mario Lopez, a spokesman for the California Highway Patrol, was at the scene as people were being rescued and said it was sheer chaos. "I've never seen anything like this before," Lopez said. "The whole side of the hill just came down onto State Route 58 ... There's no highway." The storms unleashed flash flood and debris flows along the 58, the Interstate 5 and in two small mountainside communities, where at least a dozen homes were reported damaged. Rescuers threw ladders and tarps across mud up to six feet deep to help hundreds of trapped people from cars that got caught in a roiling river of mud along a major Southern California trucking route, a California Highway Patrol official said Friday in what he and other witnesses described as a chaotic scene. They were rescued in darkness about 10 hours after the storm hit and taken to three shelters. 'It was terrifying,' 51-year-old Rhonda Flores of Bakersfield told The Associated Press on Friday. 'It started raining, and it kept raining, the water started to build up and the mud started coming,' Flores said from the church where she, her family and about 150 other people sheltered overnight. Lopez said it will take days to reopen State Route 58, a mile of which is choked with mud between two and six feet deep. 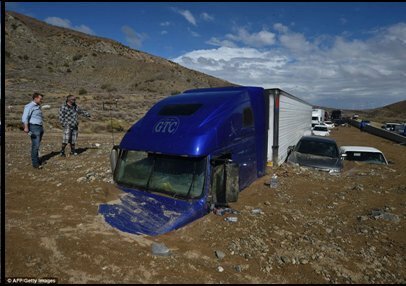 Nearly 200 cars and semi-trucks were trapped in the now-hardened mud, frozen in place at odd angles. The northbound lanes of the freeway and two southbound lanes were reopened Friday afternoon. With at least a dozen people dead and the raging high waters described as having 'tsunami-type power' in Texas over the Memorial Day weekend, the latest example of extreme weather in the United States is being tied to a global pattern of increasingly volatile events that are claiming lives and costing billions of dollars in damage each year. As Texas Gov. Greg Abbott expanded the range of a declared disaster zone in his state on Tuesday, neighboring Oklahoma is also coping with an emergency response to flash floods and overflowing rivers. Marking the official end of a four-year long drought in the south-central part of the country, the storms may be filling the region's diminished reservoirs, but not without a high cost. As the nation's media focuses on the acute damage to property and loss of life, an international conference sponsored by the World Meteorological Organization (WMO), which kicked off in Switzerland on Monday, may shed additional light on the impact that human-caused climate change is having on the planet's highly-dynamic weather patterns. With the title of 'Facing Up to Climate Change, Extreme Weather,' the WMO conference is asking the world's foremost meteorologists to weigh in on how increased atmospheric and ocean temperatures created by carbon and other heat-trapping gases affect the planet's weather patterns. "So far in 2015 – as in preceding years – weather-related disasters have destroyed or disrupted millions of lives and livelihoods," said WMO Secretary-General Michel Jarraud ahead of the meeting. 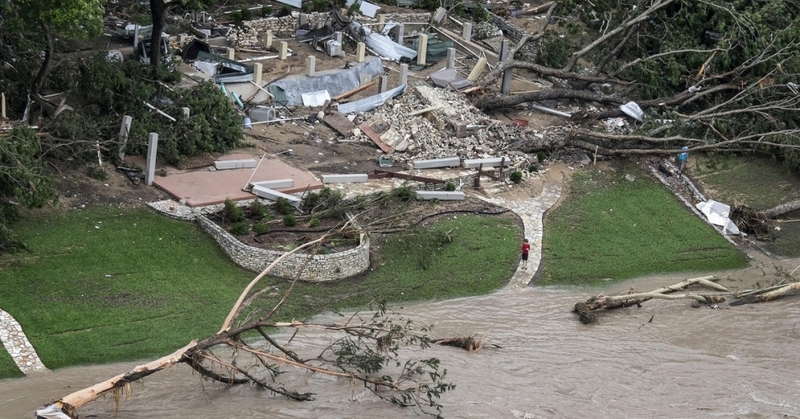 Citing devastating events like Cyclone Pam in Vanuatu, major droughts in India, California, and Brazil, and the kind of flooding that recently struck Chile and now being seen in Texas, Jarraud said the "list of extreme events is long and there is growing scientific evidence that at least some of them would have been unlikely without human-induced climate change." With the next round of UN climate talks slated for later this year in Paris, Jarraud affirmed that the WMO's efforts will be aimed at addressing the threat of increasingly extreme weather caused by global warming. "It is a pivotal year for action on behalf of future generations," he said. "We have more than a responsibility. We have a moral duty to take action to limit climate change. If we don't do it we will be judged by our children and our grandchildren." And while the cause of any individual weather event is debatable, a pattern has emerged, and it isn't business as usual. The weekend's weather was also attributed in part to the naturally occurring phenomenon known as El Niño. But with the planet experiencing increasing warming due to humanity's continued emission of greenhouse gases, the current experience of those living in Texas and Oklahoma—intense flooding caused by heavy rains after prolonged periods of drought—is just one of the expected dangers that climate scientists have long warned about. Texas and Oklahoma both face intensifying drought and flooding, although politicians in both states have denied climate change. According to the Natural Resources Defense Council, Texas “has yet to formally address climate change preparedness” — one of only 12 states to not have taken any steps toward addressing the impacts of climate change on water resources.